Denise, it’s easy. Load your pics up to a file hosting a/c (eg flickr, twitpix, blogger, etc). Post the link to twitter with the hashtag #eltpics, and that’s it! One of the lovely angels (Sandy, Carol, Fiona…) will see it in their stream and upload it to the ELTPICS a/c in FLickr, and will tweet about it. Chiew beat me to it. Thanks very much for writing this post and for sharing #eltpics with a whole new audience. 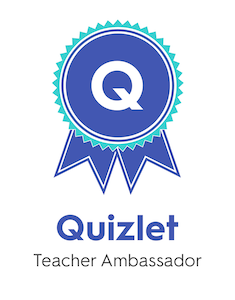 I learnt about the mosaic maker from your post – I love being part of this world too! 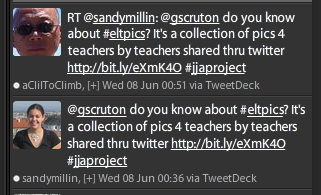 Thanks so much for writing this post and sharing the #eltpics hashtag with me and my blog readers. Finding quality images that are okay to use in the classroom can be difficult so this information will be very useful! Thank you to Chiew and Sandy for commenting here and showing me how to invest my own photos into the #eltpics collection. I have enjoyed doing this the past months. Thanks, Kathleen, for sharing in the #eltpics gift to educators and students!